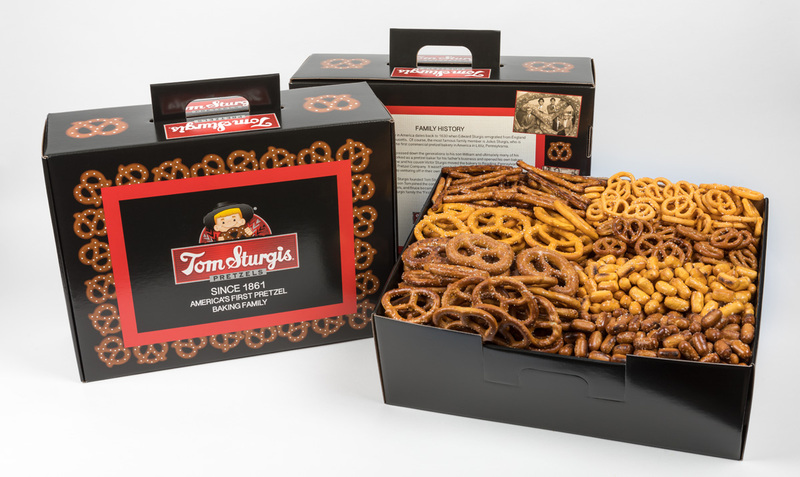 A bag of each of our most popular pretzels fills an attractive and sturdy reusable box with handle. Contains: Specials, Dutch, Cheese, Little Ones, Little Cheesers, Gems, Cheese Gems and Stiks. All Certified OU-D. Net Wt. 4 lbs. 3 oz.